The Legend of Zelda: A Link Between Worlds follows on from the story of the 1992 Super NES instalment, telling a new story in the kingdom of Hyrule. The 3D visuals of Nintendo 3DS bring a new layer of depth to the game world, allowing you to experience heights like never before. It might once have been difficult to tell the difference between floor levels, but they are now quite clear, lending more realism to the battles and dungeon exploration! 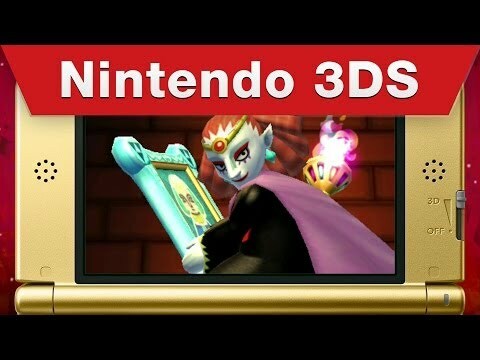 The Legend of Zelda: A Link Between Worlds introduces an all-new set of puzzles and dungeons! This time, Link can move across walls as if he were painted on them. This changes your point of view completely, allowing you to think in a new dimension and solve a fresh set of puzzles.